The Fall Hunting Classic, an annual tradition for millions of sportsmen and women across North America, returns to Bass Pro Shops locations throughout the U.S. and Canada this August 11- 27, 2017. Customers prepare for fall hunting season with free seminars led by professional hunters and benefit from special offers at Bass Pro Shops locations* across the U.S. and Canada. During the Fall Hunting Classic, professional hunters, local pros and outdoorsmen and women conduct seminars, answer questions and help hunters make the most of their fall hunting season. Many sportsmen and women look forward to the event all year long. 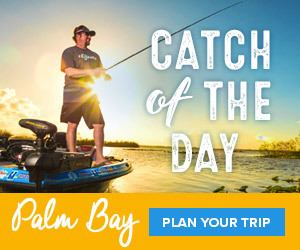 Check local listings at www.basspro.com/classic. The first 25 seminar attendees ages 18 or older on August 19 will receive a free LED Outdoor Light; the first 25 attendees on August 20 will receive a free Bass Pro Shops beverage bottle. Women are invited to this free seminar at 3 p.m. to learn hunting tips and how-to information for gearing up for the hunt and more. The first 25 women ages 18 or older will receive a free Bass Pro Shops tumbler. Hunters can trade in bows, crossbows and optics for a coupon worth up to $100 off the purchase price of a new bow, crossbow or optics (excludes longbows or recurves and spotting scopes). Hunters can trade in game cameras for a coupon worth up to $100 off the purchase price of a new game camera; or trade in hunting or rubber boots for a coupon worth up to $40 off the purchase of new hunting boots. The game cameras, boots, bows, crossbows and optics are donated to local nonprofit organizations to help with outdoor education programs. It is vitally important that today’s youth get involved in the outdoors so they can become the stewards and conservationists of tomorrow to insure the maintenance and well-being of our natural resources. Bass Pro Shops is proud to take part in inspiring the next generation of conservationists by providing easy, fun, accessible ways for families to discover and enjoy the outdoors. The Fall Hunting Classic celebrates the role hunters play in ongoing wildlife conservation efforts. Hunters are the largest contributors to wildlife conservation through the hunting licenses, tags and stamps they buy. Another important source of funding for state wildlife conservation efforts are the excise taxes sportsmen and women pay on firearms, ammunition and archery equipment through the U.S. Fish and Wildlife Service’s Wildlife and Sport Fish Restoration program (WSFR). In 2015, WSFR provided $1.1 billion through the sale of hunting and fishing equipment to support habitat conservation and outdoor recreation. Since the program’s inception 78 years ago more than $18 billion have been distributed to states for this great work. Those dollars, combined with hunting license fees, provide more than 75 percent of the funding for most state fish and wildlife agencies. Sportsmen and women contribute nearly $8 million to conservation every day through license fees, stamps, permits, excise taxes, and contributions to conservation groups. For more information about the free Bass Pro Shops Fall Hunting Classic, go to www.basspro.com/classic or visit your local Bass Pro Shops. * Store not participating in this event includes location in Islamorada, Florida. ** Pro appearances, dates, topics and times subject to change. ***Next Generation Weekend event is not available at the Destin, Florida location. ****Contest rules: Customers may also enter to win online at www.basspro.com. One Grand Prize winner will be drawn nationally. NO PURCHASE NECESSARY TO ENTER OR CLAIM PRIZE. Open to legal residents of the 50 United States and District of Columbia and Canada (excluding Quebec) who are 21 years of age or older at time of entry. Void where prohibited.